One of the best decisions made at Great Lakes Carpentry was to become engaged in building sustainable, high-performance homes. In 2006 green-building and building science best practices were just starting to gain traction in the home building industry and as responsible builders, we knew that this was a movement that we wanted to be a part of. 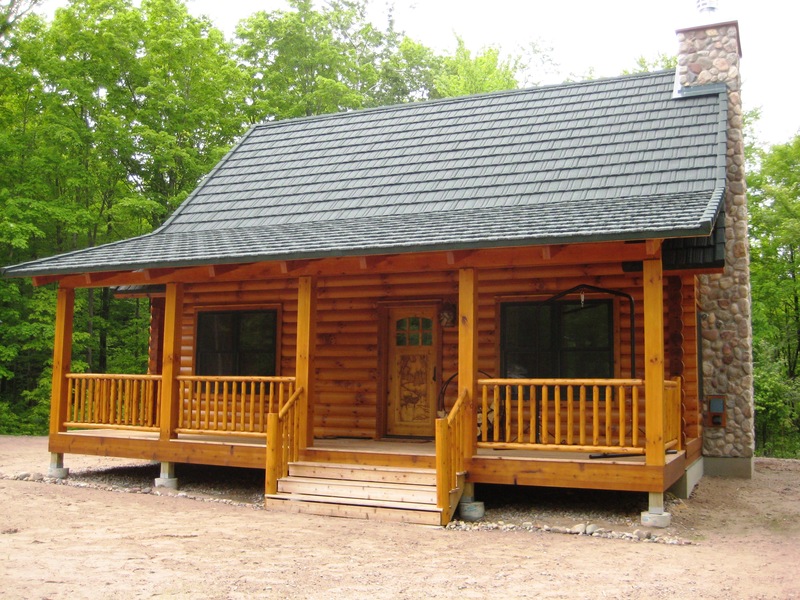 At the time, we were focused on building full-log homes and we decided to make the bold move of enrolling one of our full-log home projects in the Wisconsin Energy Star Program and the Green-Built Homes program. This is something no one had ever done in Wisconsin and we were eager to be the first to succeed at this noteworthy achievement. By implementing building science best practices for air-sealing and ventilation this home is comfortable, and efficient. The homeowner has lower heating/cooing bills and healthy indoor-air quality. By performance testing the home, the homeowner was provided with the data to prove that his builder had done due diligence to ensure that the home performs and operates as it was intended to and will continue to do so for the life of the home. By certifying the home in the Green-Built Homes program, the owner was provided with certification showing the that his builder took resource efficiency and our environment into consideration, before, during and after the construction of his home. There are many that hold these attributes in high regard and this is where the added value proposition comes into play. The homeowner will realize a return on investment for the life of the home. He started saving money/energy the day we handed over the keys. He’s able to take comfort in knowing that his home is a safe haven, providing comfort and a healthy indoor environment. He has peace of mind, knowing that things were done right, from the beginning. If/when the day comes that the owner wants to sell the home, people will line up to purchase this property. Not only is it gorgeous and efficient. It holds a place in the record books as a first of its kind. 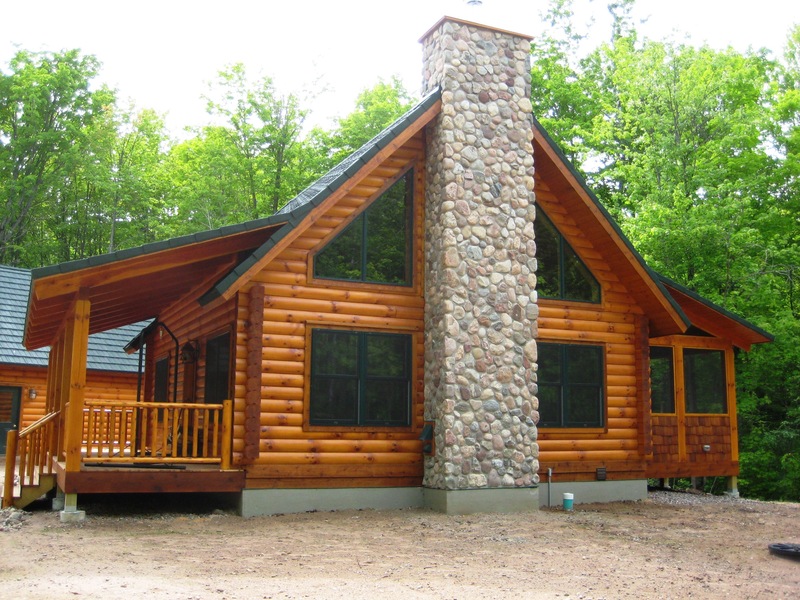 Full-log homes are very appealing to many people in the north woods of Wisconsin, as they are steeped in history. They were the predominant form of construction in the bygone era of pioneering settlers, woodsmen and trappers. 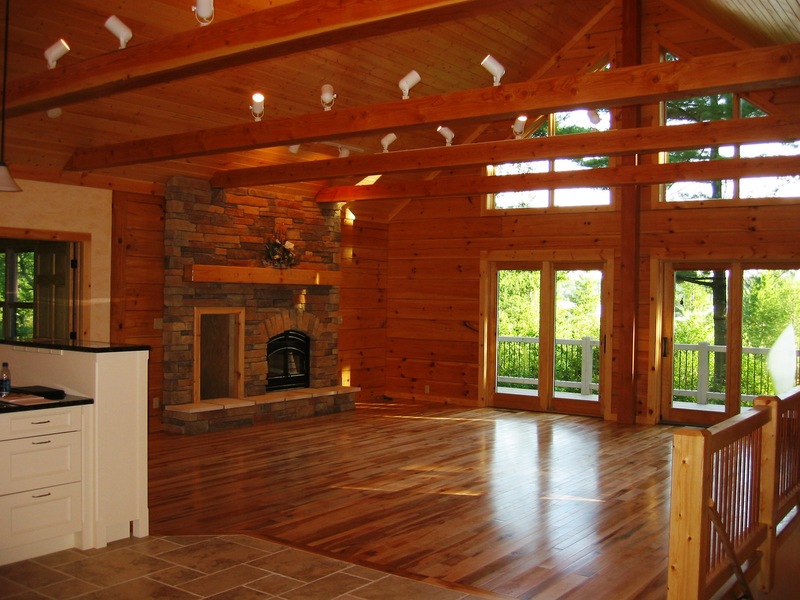 We’ve come a long way in improving the look, feel, functionality and now, the efficiency of full-log homes. Great Lakes Carpentry is proud to have had the courage and audacity to believe that we could do what others thought couldn’t be done. By accepting the challenge of building high-performance full-log homes, we’ve raised the bar for the added value proposition. 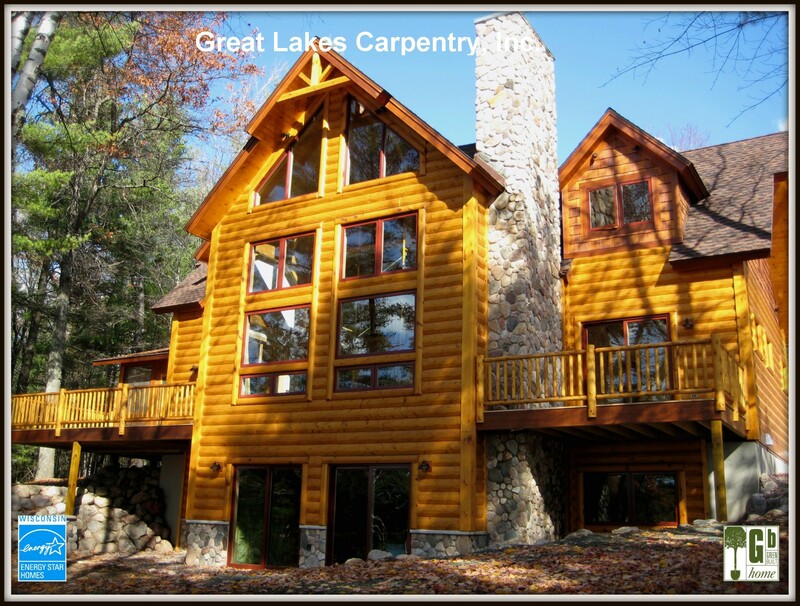 Great Lakes Carpentry specializes in building high-performance full-log, timber frame and SIP super-insulated homes. If you’re interested in the added value realized in building to higher standards call or e-mail us today. At Great Lakes Carpentry we believe that we best serve our clients by taking the long view approach to the home building process. We often refer to our approach to building as “Future Proof” home building. In this uncertain world of energy and climate, sustainable building and green housing are rapidly moving from novelty to necessity. As practitioners of sustainable, green home building methods we understand the importance of implementing best practices of building science and the need to take not only energy, but resource efficiency into account as well. The housing market is back on the rise and along with it, the cost of materials. Like never before, we will need to be vigilant in choosing products and techniques that will add the most value and provide the highest return on investment, from aesthetics to energy and resource efficiency. Enercept SIP structure with Alpen High Performance glass technology. At the onset, we develop relationships with our clients that are built on trust. We set to work on educating them of the many benefits that are realized by building to higher levels of performance and sustainability. We consider it our responsibility to act as adviser, consultant and advocate in helping our clients in choosing from a wide array of design options, products and techniques that best suit their needs and their budget. Be it a Timberpeg timber frame home, a high-performance full-log home or Enercept SIP super-insulated, systems built home, we are steadfast in our goal to ensure that our homes provide a safe haven of comfort and safety that perform to a level of efficiency that will help to defer the rising costs of energy and negate environmental impact for generations to come. We take great pride in the fact that we take responsibility for the structures we leave in our wake and that we’ve consciously taken a leadership role in the home building industry. By building “Future Proof” homes, we provide our clients with much more than beautiful, one of a kind homes that are durable, safe,energy and resource efficient. We bring our clients sense of pride, for doing the right thing, on their own behalf, for our environment and for generations to come. If you’d like to realize the benefits and sense of pride in building a “Future Proof” home, contact us today. As a Green Building Professional, we understand building science and how the laws of nature interact with not only the outside, but the inside of the homes that we build. We take a holistic approach to the design and build phases of each home and look upon the indoor environment as an ecosystem all its’ own. The indoor environment is similar to that of our planet, it’s a delicate balance of systems that work in unison. We can’t change one aspect without affecting another. We also believe in climate science and understand the connection between green house gasses and climate change. Our mission and purpose is two-fold. Our objective to help our clients to realize meaningful savings on the costs to operate their homes, provide them with durable structures that are comfortable and safe, with healthy indoor environments while at the same time helping them to reduce their contribution of greenhouse gas. We consider this a win/win, feel the good proposition. We want to help our clients to do the right thing for more than just their finances, we want to help them in acting responsibly and to feel good about doing the right thing for our planet and the future generations that we leave our world to. We don’t look upon ourselves as owners, but as stewards of our land, our community and our planet. At Great Lakes Carpentry we don’t just talk the talk, we walk the walk. 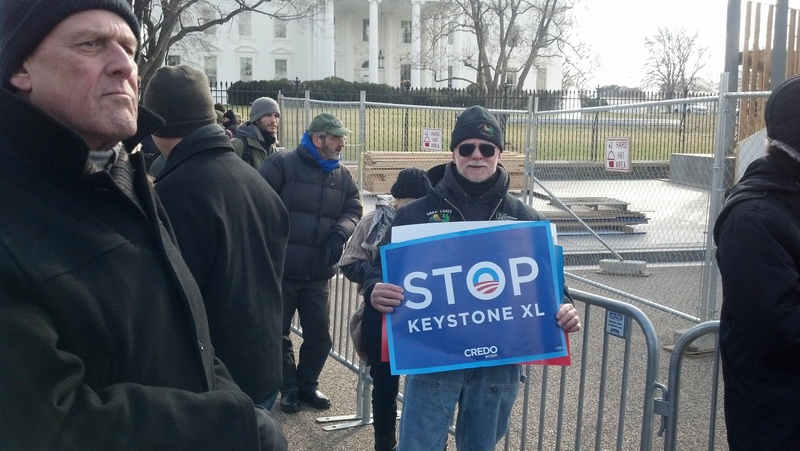 On February 17th we joined 40,000 plus individuals in marching on the White House in Washington D.C. in protest of the Keystone XL pipeline. Tar Sands. The Keystone XL pipeline is an environmental disaster waiting to happen. 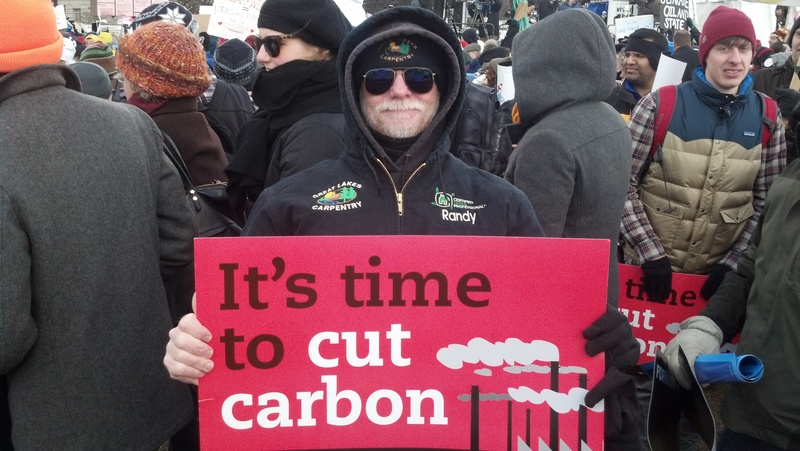 Extraction of oil from the tar sands produces as much carbon emissions as burning the fuel once it’s produced. And it won’t make us energy independent or bring down the price of gas. If the carbon contained in the tars sands deposit is put into the atmosphere, it’s game over for life on earth. Not to mention the risks to our heartlands aquifers and farmlands. The sole purpose of the pipeline is corporate greed/profit and for shipping all oil overseas. Our sense of responsibility and our moral conscious tell us that it’s our duty to raise our voice in protest over this one key issue. We’re taking an active role as global citizens as well as responsible builders, for the future generations that will inherit more than the homes that we build, they’ll inherit our planet and the environment we leave behind. If you’re environmental conscious, would like to feel good about building responsibly and save money by doing so, contact us at Great Lakes Carpentry. Indoor-air quality is a topic of discussion that many builders choose to avoid and rightfully so. When new, innovative building materials and techniques started being introduced in the 1980’s, most builders jumped on the band wagon and started incorporating some of these products and techniques into their home building projects. Building science wasn’t a term that most builders were familiar with and no one fully understood how these products and techniques would impact the performance of the homes they were building or of the consequences. Before long, the problems linked to our lack of understanding came home to roost and we had a mold epidemic on our hands. And then, the litigation began. Hugh sums of money were being awarded home owners with mold issues. Next, came the insurance industries answer to the problem. Insurance companies would no longer cover builders for mold claims filed against them. Back then and today, the word “mold” carries the same weight as “the plague” for those working in the building industry and should be avoided at all costs. Mold can have a big impact on indoor-air quality, so it’s easy to understand why builders might shy away from even the mention of indoor-air quality. If they don’t understand the principles of building science, they don’t know where to begin. Mold is a fungi, a living organism that requires food, water and certain conditions in order to survive and thrive. Green building professionals understand how the laws of nature interact with the interior and exterior of the homes they build and know how to deprive mold of what it needs most to survive. Water. 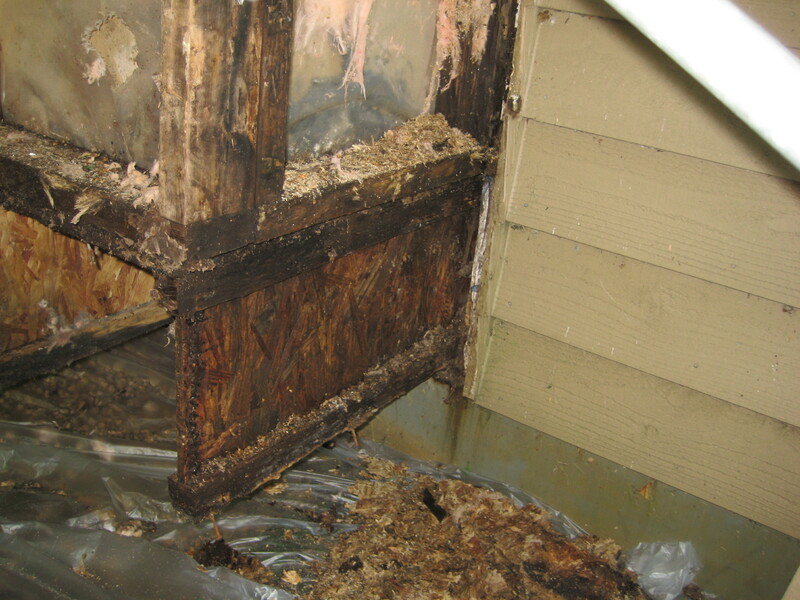 Moisture is the main culprit when it comes to mold growth. Of course, mold needs food and a friendly environment, but water is key. Two of the three key components to averting mold issues are found at the exterior and interior of the home. A continuous drainage plane (house wrap) and proper flashing details at the exterior, combined with rain-screens that allow vapor and wind-driven moisture to drain and dry behind exterior siding ensures that moisture will be diverted away from the structure and won’t find its’ way in. A building envelope that is built tight won’t allow interior moisture vapor into wall cavities and roof assemblies, where mold can thrive. The third component to avoiding mold issues is proper ventilation. Proper ventilation is achieved by using quality bath fans that are properly installed. 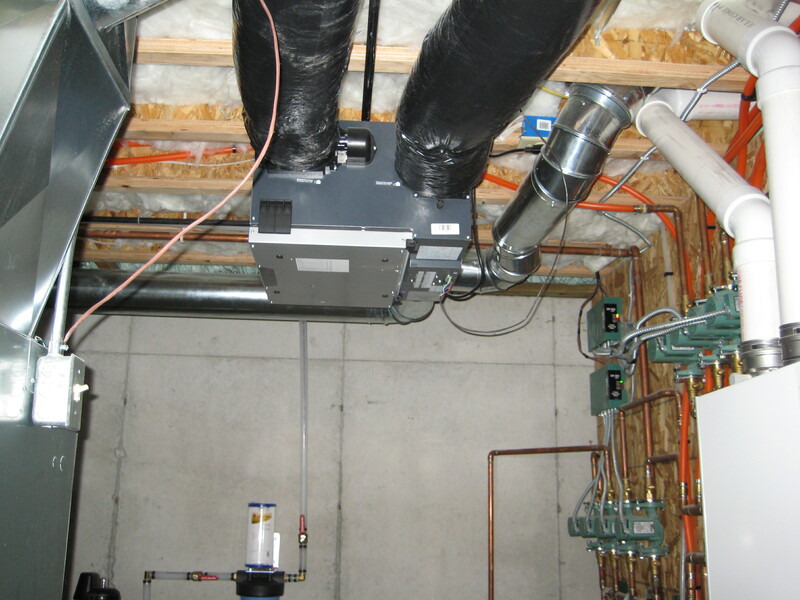 In some instances, whole house ventilation systems are installed. Air exchangers, knows as Heat Recovery Ventilators (HRV) or Energy Recovery Ventilators (ERV) allow the homeowner to control the humidity level in the home while using the stale heated air that is expelled to temper fresh, incoming air. The result is a complete change of air in the home, about every 4 hours on average. In cold climates, these units are meant to be run during the heating season. The colder it is outdoors, the stronger the vapor drive inside the home. Warm moisture vapor is drawn to air leaks in the building envelope and cold surfaces, such as windows, where it will condense back to bulk water form and start to promote rot and mold growth. Mold growth is just one contributing factor to indoor-air quality and an important one to know how to avoid. There are other risks associated with indoor-air quality, such as Radon gas and off-gassing from building products, such as cabinetry, carpeting and fossil fuel appliances. We’ll address how best to manage these risks in upcoming posts, so please, stay tuned. If you’re interested in building a high-performance home that will provide a safe, healthy indoor environment or would like to learn more about indoor-air quality, contact Great Lakes Carpentry today. 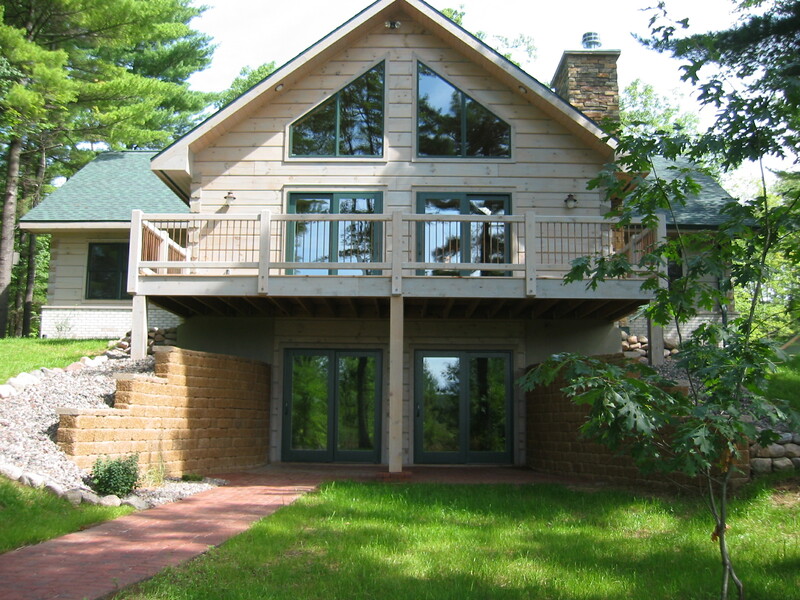 When we built the very first full-log home in the State of Wisconsin to be Wisconsin Energy Star Rated and Green-Built Certified, we were very proud of ourselves. As far as we knew, no other builder in Wisconsin had even attempted to meet these performance standards for a full-log home at that time. Great Lakes Carpentry, Inc. provided project management and executed all carpentry aspects of the project, in partnership with our now defunct sister company, Timberlog Works, LLC. We “raised the bar” for performance and efficiency of full-log homes and we expected the field to become crowded with other full-log home builders, striving to achieve the same, if not higher levels of efficiency. Sadly, it didn’t. We began this project in 2006. The pride and sense of purpose that this project fostered was phenomenal. 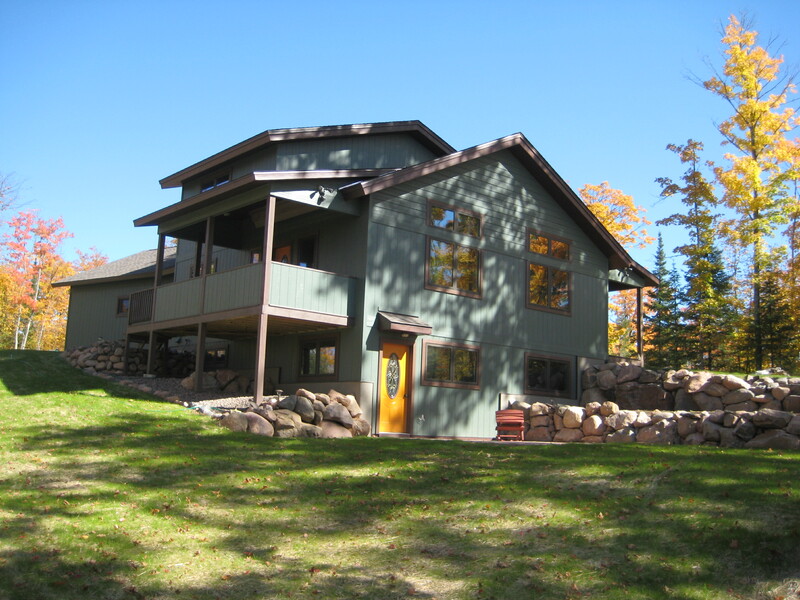 We realized that we could do so much more than build beautiful full-log and timber frame homes. We found that we could bring much more added value to our clients by implementing building science principles and best practices into the design and build phases of our new home projects and in doing so, we were helping our clients to realize meaningful savings on their energy costs, providing them with durable structures that have a healthy indoor environment, all while helping to reduce their carbon footprint. This really “raised the bar” on our mission and purpose. It was during this period that we discovered and adopted the Kaizen philosophy of continuous incremental improvement and applied these concepts to our home building operation. Thanks, to Dr. W. Edwards Deming, the Japanese adopted this philosophy during the post World War II era of re-construction and the Japanese used it to become highly competitive in the auto and electronics industries. We’ve been in competition with ourselves ever since. Striving to make each house more air-tight and energy-efficient than the previous. By enrolling our homes in the Focus on Energy New Homes Program, we use science to test each of our projects, in order to discover any deficiencies and to define the level of air-tightness and efficiency we’ve achieved. This gives us a baseline and benchmark for making the next project more efficient than the previous. To date, we’ve certified more full-log homes than any other builder in our State and we’re proud of this accomplishment. 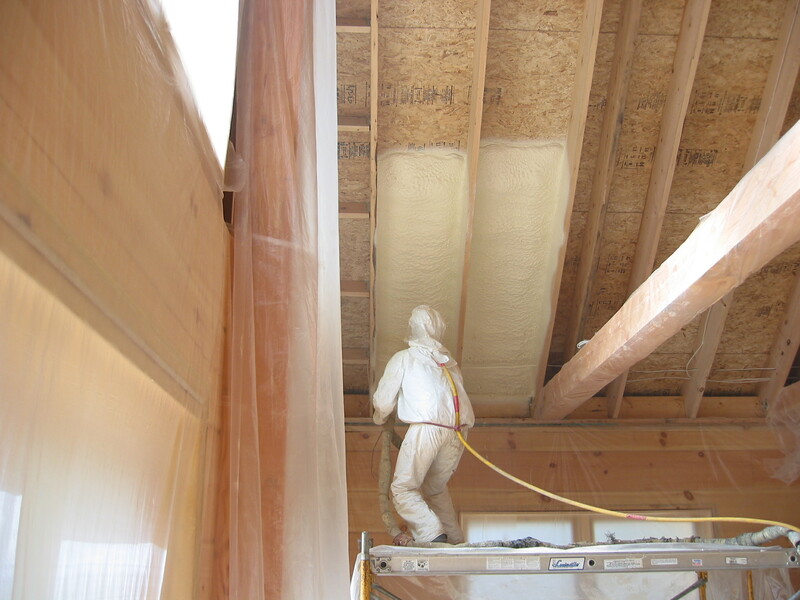 Attention to detail and spray foam insulation had a lot to do with our log home success. During this same period we started building Timberpeg timber frame homes and for our first outing we used multiple layers of high-performance foam sheathing on the exterior and quickly determined that using Structural Insulate Panels (SIP’s) was a better approach. 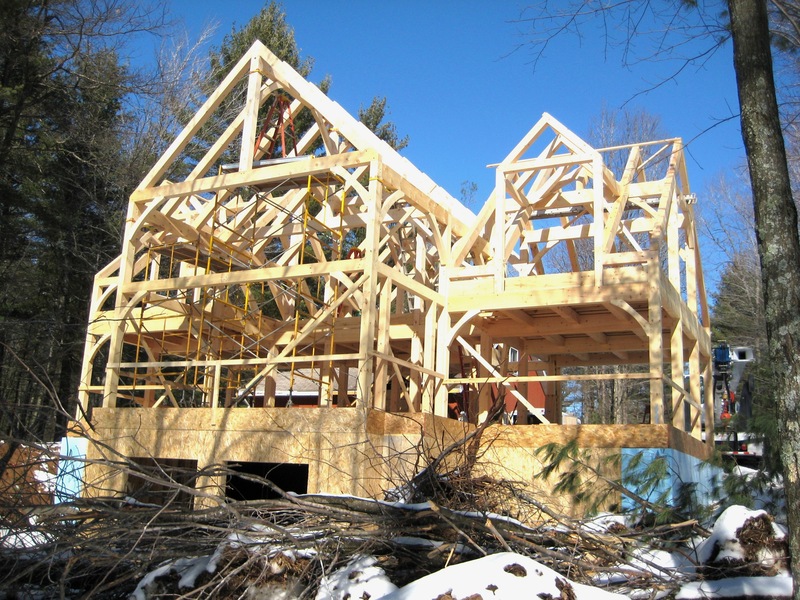 We’ve tested and certified all of our timber frame homes to date and in the process came to the conclusion that we needed to offer this type of performance to those that might not be in the market for a full-log or timber frame home. We did our home work and discovered what we believe to be the best SIP panels on the market. As independent dealers and factory trained installation specialists for Enercept SIP’s, we offer some of the strongest, most durable, air-tight and energy-efficient homes on the market. We consider SIP’s to be the building envelope system of the future. We refer to our most recent SIP home project as “The Energy Sipper”, because it does exactly that. It sparingly sips energy. We’ve “raised the bar” considerably, with this project by achieving Passive House air-tightness standard and a HERS score of 37. 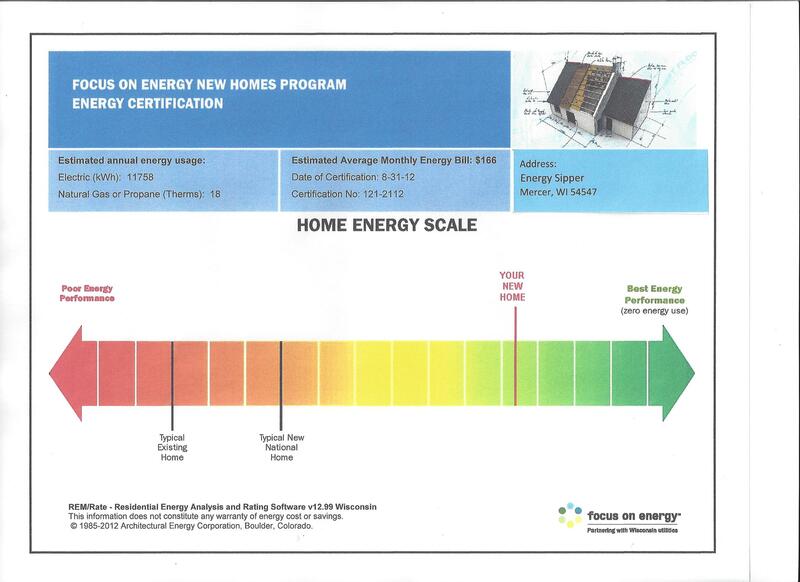 This is the chart that we received from Focus on Energy, depicting the level of efficiency we achieved for the Energy Sipper, in comparison with an existing home and a typical new home.. This is similar to MPG for your vehicle. We consider a SIP structure to be super-insulated, but there is a flaw in this concept. Typical dual pane windows offer no more than a R-3 of insulating value. Typical brand name windows account for 25%-30% of the heat loss in homes. We thought it foolish to build a super-insulated structure, only to install windows that would hemorrhage heat loss at ever opening, so…. it was time to “raise the bar”. We became Alpen High Performance Products window dealers during 2009 (formerly Serious Windows). We installed Alpen 725 Series Fiberglass windows in the Energy Sipper and they were a huge contributor to the level of performance for this home. On average, the Alpen windows have a full-frame R-Value of R-5.9, with a U-Factor of 0.17. We’re talking about something other window manufacturers don’t mention. They want to talk about the U-Factors only and when R-values are mentioned, they are calculated at the center of glass (COG), because this is the most efficient area of any window. The 725 Series windows we installed in the Energy Sipper are rated at R-9.1 with U-Factors of 0.11 at the center of glass (COG). These windows help to close the gap for building envelope efficiency, not to mention adding to the comfort level for occupants and in reducing the likely hood of window condensation, a big problem for many homeowners in cold climates, such as ours. We believe that our mission of saving our clients money on their energy costs, while helping them to reduce their carbon emissions is one of real purpose. Our field and office staff have a purposeful step to their stride and look forward to the opportunity of taking home building to the next level. We look forward to the opportunity of building our first Net-Zero Energy home and to achieving our first Passive House Certification. All it will take is people with a sense of social and environmental responsibility and the awareness that this is simply the right thing to do, for all of us, for our planet and for generations to come.